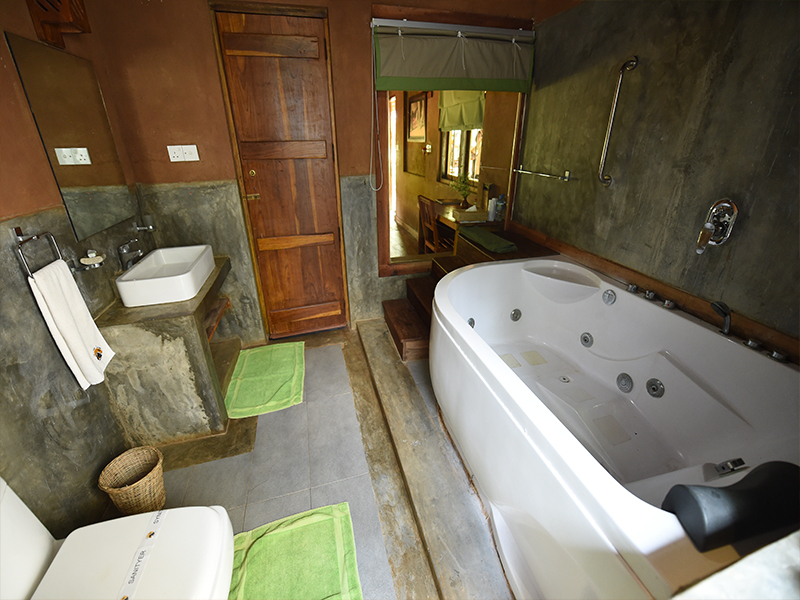 The ground floor ‘Chalets’ come with the option of additional beds for triple bookings and have both a front & back patio which may also be used for private dining if required. 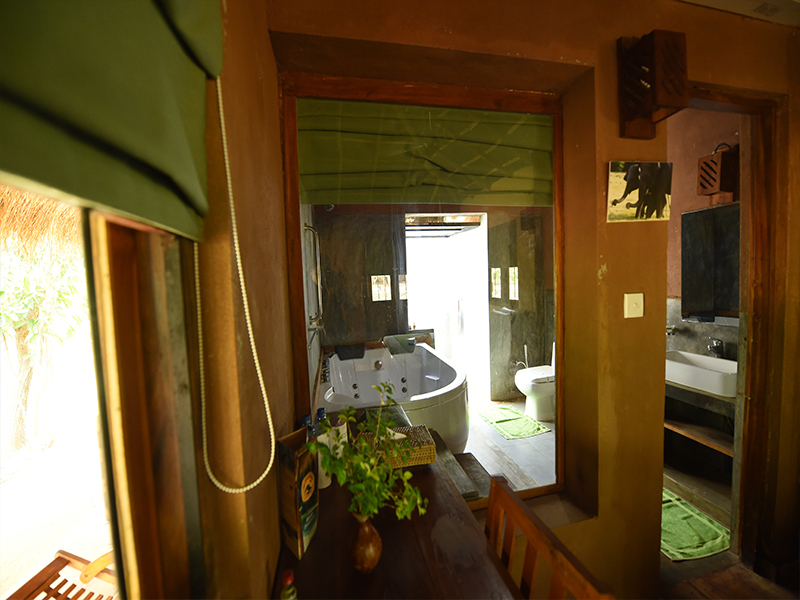 One unique 'Chalet-for-two' is equipped with a jacuzzi. 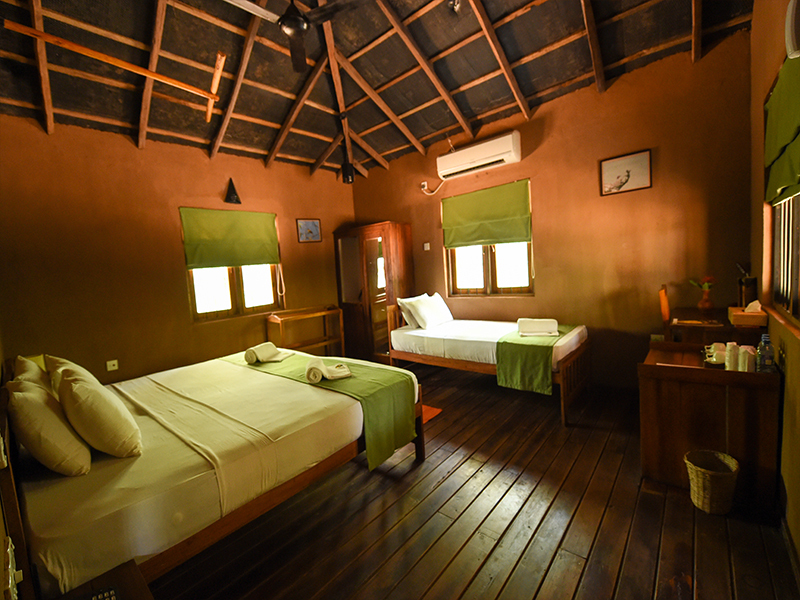 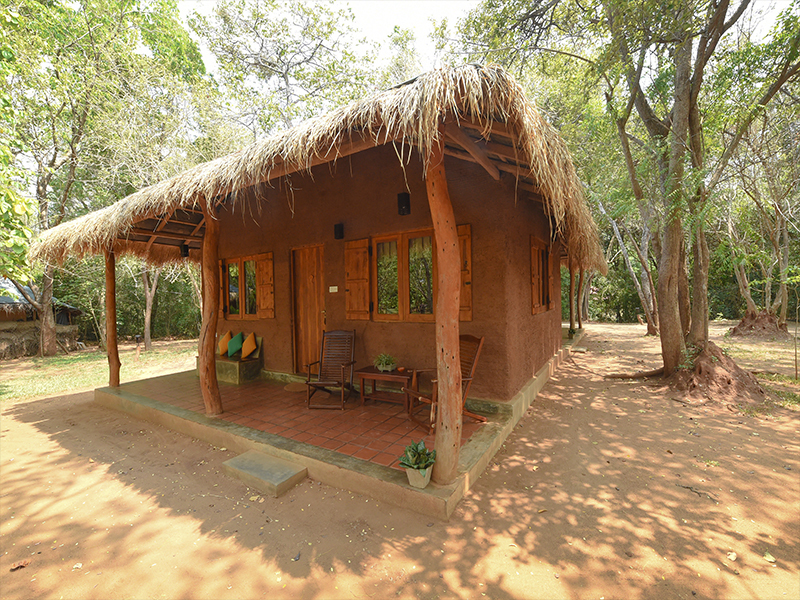 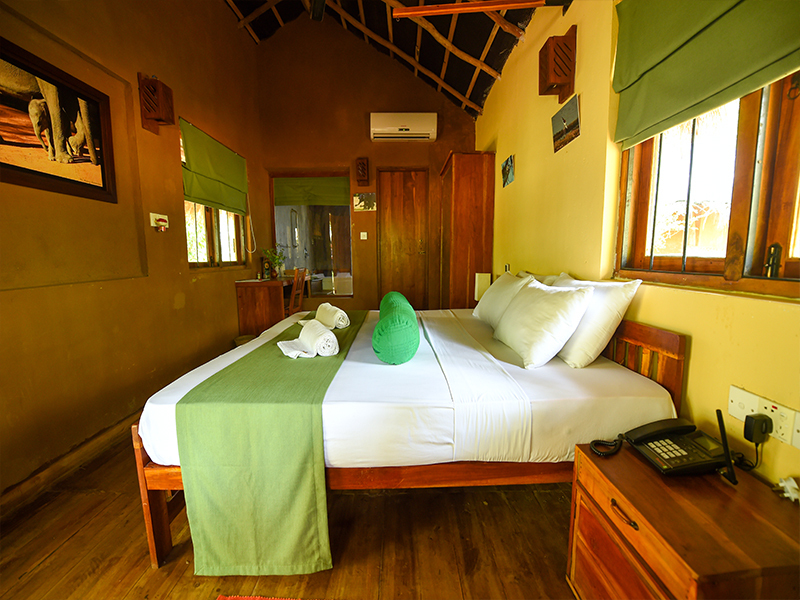 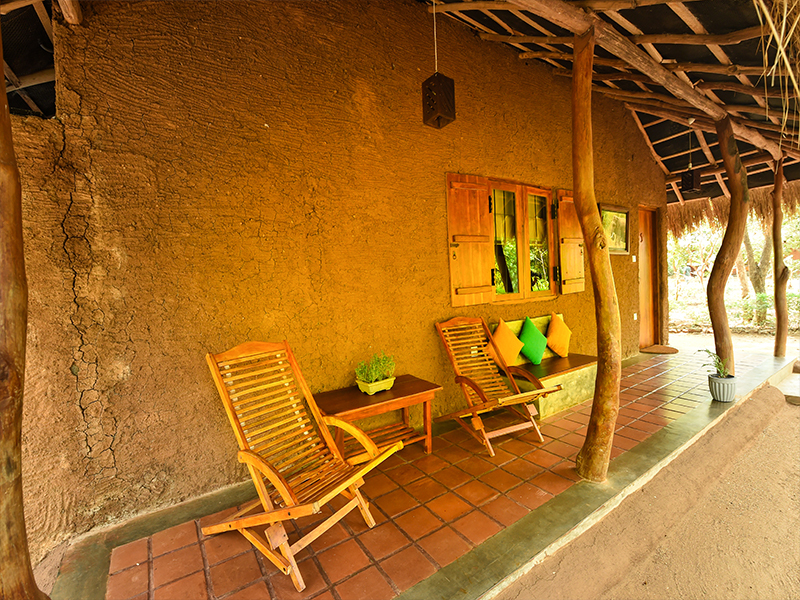 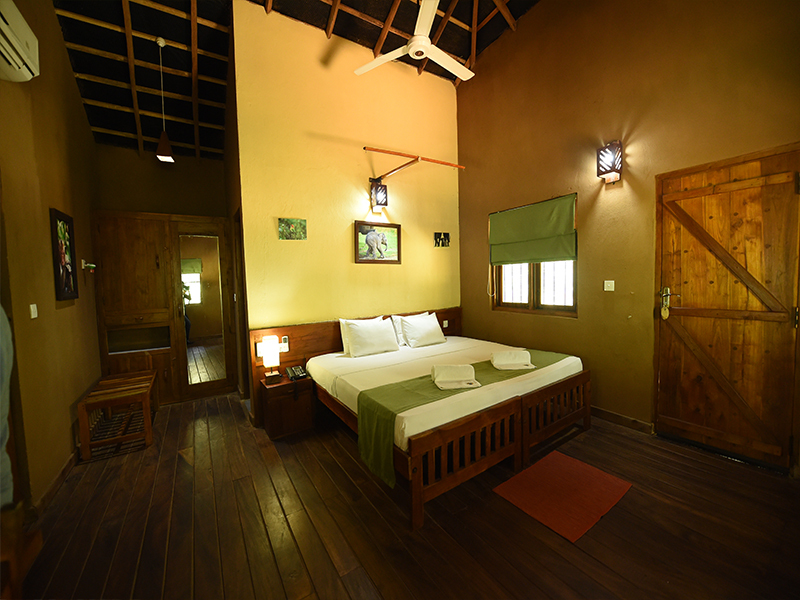 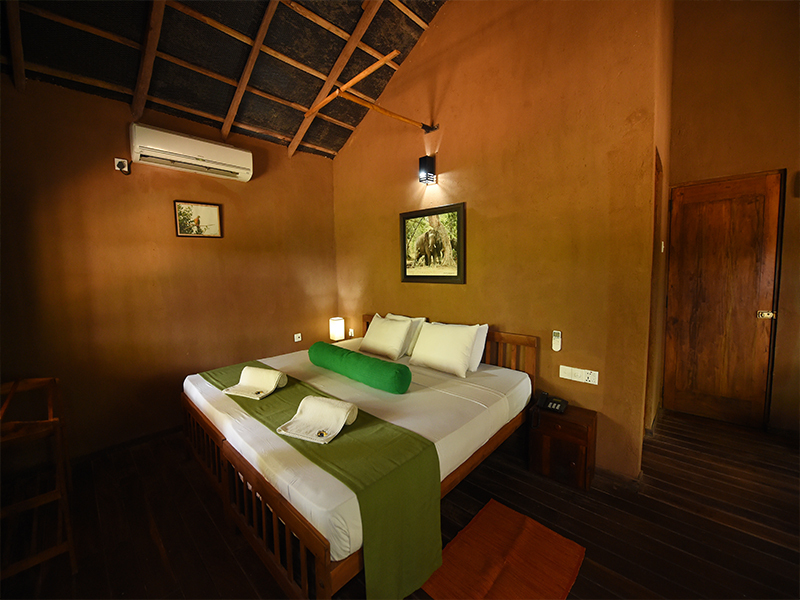 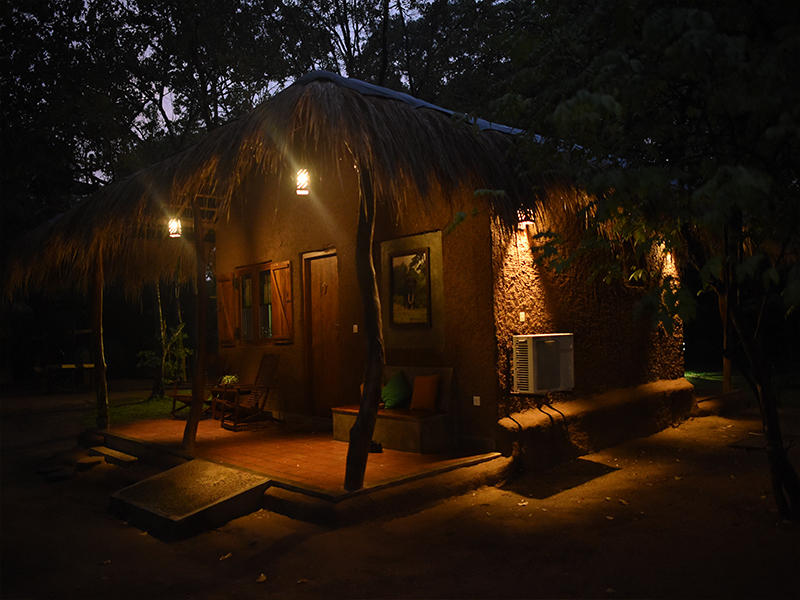 The ‘Twin Chalets’ have the option of being booked separately for 3 to 4 persons or have inter-connecting doors to function as one unit if you are a large group. 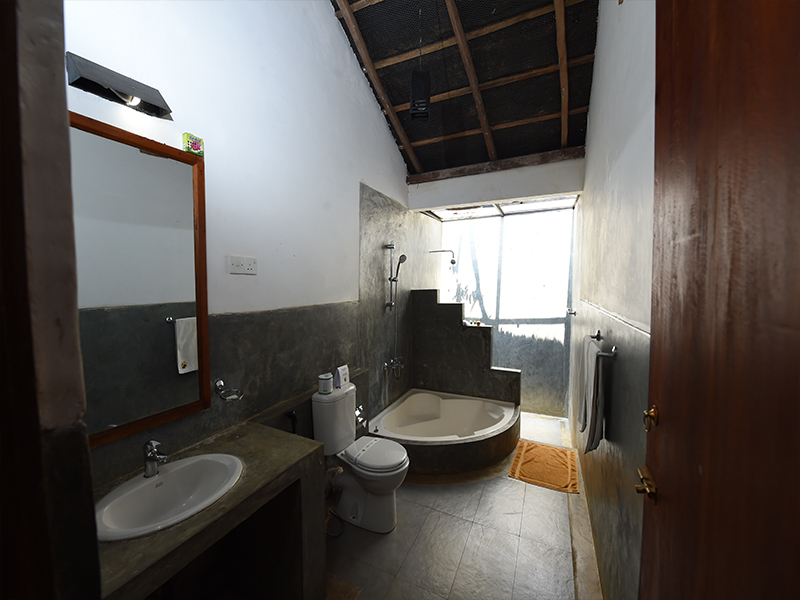 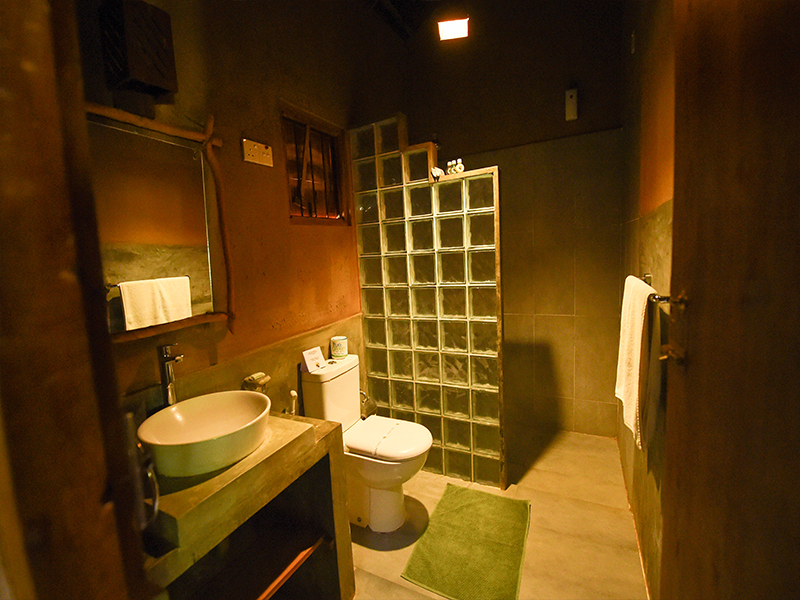 The large modern toilets have both sunken baths as well as walk-in open showers.